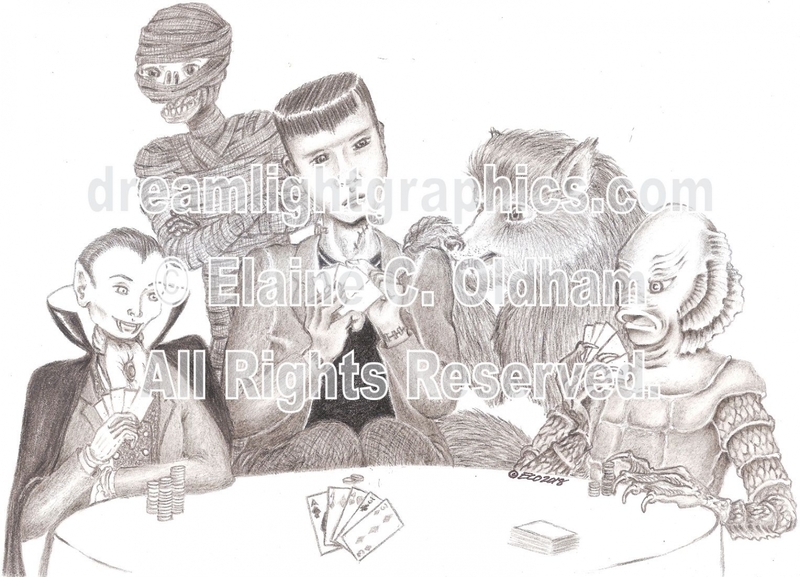 While working Flashback Weekend this past summer, I started this drawiing of movie monsters playing poker. It was inspired by the famous dogs playing poker painting and the classic movie monsters: Dracula, the Mummy, Frankenstein's Monster, the Wolfman, the Creature from the Black Lagoon, and the Invisible Man (holding up a potentially great hand). Also available as a mini print.